Round 15 Bommarito Automotive Group 500. Gateway Motorsports Park. Madison, Illinois. Round 15 Bommarito Automotive Group 500. Gateway Motorsports Park. Madison, Illinois. August 24-25. This Saturday's race will be the second IndyCar race at Gateway Motorsports Park, since the Indy Racing League held the Emerson 250 in 2003, which was won by Hélio Castroneves, driving for Team Penske in a Dallara IR03-Toyota Indy V8. Gateway Motorsports Park was originally called St. Louis Raceway and in 1967 was developed by Wayne Meinert as a 1/8 mile drag strip. Four years later and With the purchsase of more land, St. Louis Raceway over the next four years, expanded into a full quarter-mile drag strip and renamed St. Louis International Raceway. Drag racing remained the main form of motorsport throughout the '70s and '80s but with increasing demand from road racers, a new 2.6-mile course was built and opened in 1985, incorporating the drag strip. The venue was renamed Gateway International Raceway and hosted Can-Am, Sports Car Club of American (SCCA) and Trans Am events. In 1995, the venue was purchased by former Long Beach Grand Prix promoter Chris Pook, who had plans to create a new oval course, to host Indycar and NASCAR races. The original track was demoloished and a new oval and infield road course were built and opened in 1997. The venue's innaugural race was the Motorola 300, the sixth round of the 1997 CART season, held on Saturday May 24 and won by Paul Tracy, driving for Marlboro Team Penske, in a Penske PC-26 - Mercedes-Benz IC108C. Rather than holding a race that conflicted with the Indy Racing League's Indy 500, as had been the case in 1996 with the U.S. 500, CART scheduled the race the day before the Indy 500 to serve as their Memorial Day weekend race. After a couple of years, track management grew increasingly dissatisfied with its use, which was seen by some, as a political pawn or statement by CART. The event had poor attendance, as fans generally chose to travel to the Indy 500 for the weekend instead. In 2000, the race was moved to the fall, Autumn but with spectator attendance of only 25,000, it was dropped from the CART series calendar in 2001 and switched to the Indy Racing League. Spectator attendance continued to be an issue and the event was dropped after 2003. In 2010 Dover Motorsports, Inc., who had purchased the venue from Pook, hosted two Nationwide Series races at Gateway However, following their closure of Memphis Motorsports Park. Attendance figures were disappointing and the Dover group, citing their inability to run the operations with acceptable returns, officially announced Gateway was officially closing and ceasing operations as of November 3, 2010. Less than a year later, Curtis Francois a retired racing driver who raced in Indy Lights at Gateway in 2002 and now real estate developer, purchased the 160-acre venue, investing $20 million and opened it in 2012. Key to reopening Gateway was the commitment to drag racing and the partnership with the National Hot Rod Association (NHRA). Francois signed a long-term deal with the NHRA starting with a signature event in September 2012 and subsequently adding NASCAR truck events. Of the current crop of drivers, Ed Carpenter, Scott Dixon and Tony Kanaan have raced at Gateway before. The 1.25-mile (2.01 km) oval has a unique egg shape, with different degrees of banking. 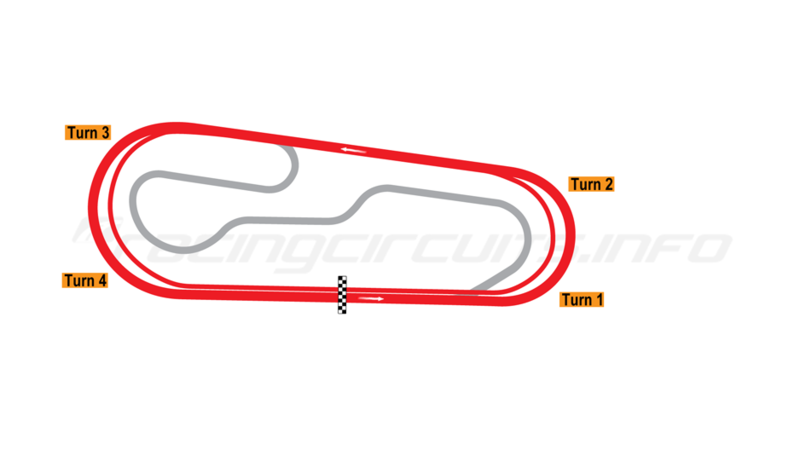 Turns 1 and 2 have characteristics similar to New Hampshire Motor Speedway, while Turns 3 and 4 are similar to Phoenix International Raceway, while the track's egg shape mimics the legendary Darlington Raceway. 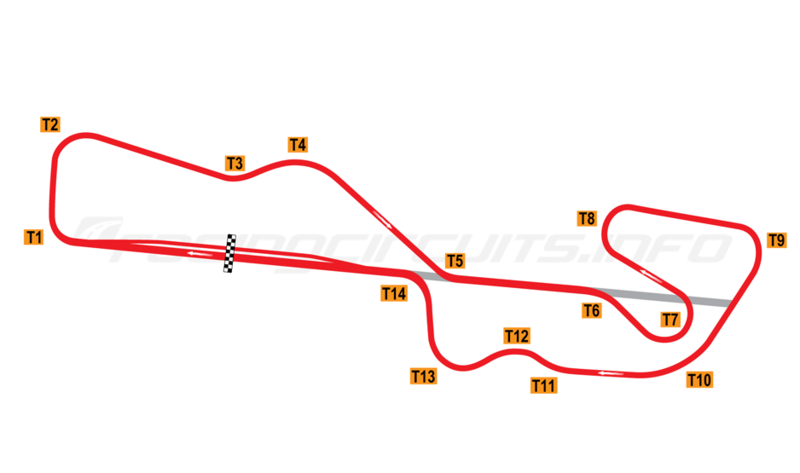 There is also a 1.6-mile (2.6 km) infield road course. Alongside would be a separate NHRA sanctioned drag strip. Today, Gateway has undergone an $11.5 million revitalization project. Will Power, May 25, 2017. 23.721, 189.642 mph (224.447 km/h). Team Penske, Dallara DW12-Chevrolet IndYCar V6. Will Power took pole but the newly relayed track surface, which had impressed drivers during testing, quickly became a source of concern after several incidents at the beginning of the race. Kanaan's car spun on the pace lap and made contact with the wall at Turn 2, though he was eventually able to continue the race three laps down. This brought out the first caution of race delaying the start until lap 5. When the green flag waved, Newgarden passed Power for the lead on the outside of Turn 1. Power spun, sending his car into the wall at Turn 2. As Sato and Carpenter attempted to avoid Power, the two made contact with each other and made contact the wall, causing all three drivers to retire from the race, bringing out the second caution. When the race resumed, Newgarden maintained the lead until pitting on Lap 60. Bourdais then led the race for the next 5 laps until he was forced to pit. Chilton became the race leader for a single lap before also making a pit stop. As Bourdais and Chilton were on alternate pit strategies, Newgarden effectively remained the leader of the race. After Chilton's pit stop on Lap 66, Newgarden retook the lead on Lap 67. The third caution of the race came out when J. R. Hildebrand crashed at Turn 4 on lap 102. During the caution period, all of the race leaders pitted, with Castroneves beating Newgarden out of pit road to take the lead. The green flag came back out on Lap 112 and by Lap 155, Castroneves had extended his lead to just over three seconds ahead of Newgarden. During his pit stop on Lap 157, Castroneves stalled while exiting the pit box. Although his crew was able to restart his car almost immediately, the delay dropped Castroneves to fourth place, giving the lead back to Newgarden. The fourth caution came on Lap 166, when Chilton spun into the outside wall of turn 4. During the caution, Chilton's teammate Kanaan was called in to pit by team owner Chip Ganassi. Kanaan's car had been loose throughout the race, prompting Ganassi to park Kanaan's car for the remainder of the race. The decision was reminiscent of one from the previous race at Pocono, in which Ganassi parked Chilton's car. The race resumed on Lap 174. On Lap 181, An incident occurred between Daly and Kimball. Daly, who was running in eleventh, got a run on Kimball and attempted to pass him on the inside of the track. Kimball abruptly swerved to his left. Daly was furious, as it appeared Kimball's move was a clear attempt to block him. The incident was reviewed, but no action was taken against Kimball. The fifth and final caution came on Lap 203, when Hunter-Reay entered Turn 4 too high and brushed the wall as he exited the turn. Pagenaud took the lead from Josef Newgarden on Lap 206 when both drivers made pit stops under the caution. However, Newgarden regained the lead on Lap 217, after passing Pagenaud on the inside, as the two entered Turn 1. the two cars' tires made slight contact, sending Pagenaud to the outside of the track. Although he avoided crashing, Pagenaud was forced to lift off in order avoid hitting the outside wall. Scott Dixon, who had been running in third, seized the opportunity and passed Pagenaud. Shortly after retaking the lead, Newgarden pulled away by more than a second ahead of Dixon. Pagenaud held his position roughly half a second behind Dixon. Newgarden held his position for the remainder of the race, clinching his fourth win of the season. Chavez returns to Harding for this Saturday's race. The biggest concern is the aero package. Last year cars struggled to keep straight. And this year cars often get too far apart on ovals. Qualifying cancelled due to intermittent rain, drivers to start in order of current points. Kind of tough on guys like Bourdais, Kanaan, Jones, Pigot, and Veach - who were all in the top 8 in practice (3,4,5,7,8 respectively) but who will start no better than 9th (Bourdais) on points. I don't really understand Indycar's policy of two day race meetings. Suppose it cuts costs but there have been lots of comments about limited track time this year. I believe there were 22 minutes of track time today, and qualifying is now over. With sessions on two days preceding race day the teams have a better chance to find a decent setup. Sato never approached getting up to speed today. No idea what the problem was. Surprising to see the Chevrolets seemingly at such a disadvantage. Quickest bow tie was Kanaan in P7, then Power P10, Newgarden P12, and Pagenaud P14. Glad to see Pietro show some speed given the year he's had overall in various disciplines. Agree. He was at the top with a few minutes left but didn't go back out after the late yellow. That's when Rossi and Dixon posted their best times - guessing the conditions were continuing to improve not to say they couldn't have done the same times earlier. Bourdais didn't go out late either - looked pretty strong in both sessions. Coyne could use a good result, hope both cars do well in the race. Grid decided on current driver's championship points standings, as qualifying was cancelled due to bad weather. A little untidy but initially a clean start but it looks like Bourdais got loose in traffic and hit the wall. First FCY. That was a quick clean up; back to Green. So can we finally stop perpetuating the myth that the crappy Indy 500 was because of the heat and not because this car can't race on ovals? Seems Indycar is now 2000s F1 where the pit stops are the only chance to pass. If they are to continue with the IR 18, IndyCar needs to increase the downforce and that's only going to come from redesigning the underwing.